Note: This event is now sold out. You're invited to live stream through our facebook page! 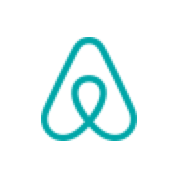 Airbnb is getting started with GraphQL. With a Services Oriented Architecture built around Thrift, our approach has not been the standard path. Join us and Peggy from the Apollo team to talk about what we’re seeing with Thrift, TypeScript, and some of the tooling required to unlock engineering productivity. After the talks, we will sit together for a panel to open up some discussion. Join us for dinner & drinks at 6pm compliments of Airbnb's Kitchen Team. Please note: The talks will begin at 6:45pm, so arrive before then. An RSVP is required to attend. You will receive a confirmation email if you register correctly. All proceeds will be donated to Women Who Code, who works in many functions to inspire women to excel in technology careers. Note that you must be 21+ to attend. We look forward to hosting you! When you arrive you'll see a check in desk set up for this event Please skip the regular security descend come right over to check in with us. We'll get you settled! Peggy, Adam, and Liang will give talks about the Apollo and GraphQL, plus how we are using them at Airbnb! After the talks, please join us for a brief town hall style discussion. We will ask for questions from the group and see if we can all learn something!